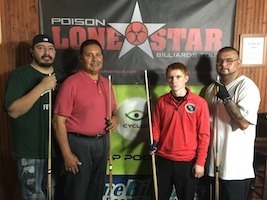 Once again, former Junior World Championship contender, Jacob Watson, took the 59-player, Poison Lone Star Billiards Tour amateur 9-ball division by storm, defeating Elias Garza in the finals, 5-2. Watson went undefeated to win his second, consecutive amateur 9-ball division title. 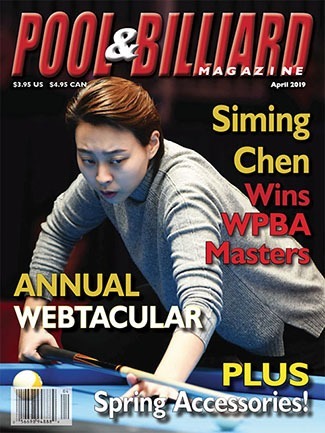 Manny Chau came from behind to claim the 53-player, Poison Lone Star Billiards Tour open 9-ball division, after losing his third round match to Justin Whitehead, 7-6. Chau came back to win, besting Whitehead in the finals, 7-1, 7-2. 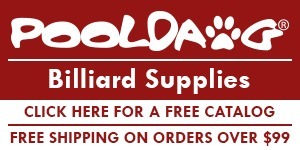 On February 11th-12th, 2017, Bogies West (Houston, Texas), along with tour title sponsor Poison by Predator Cues PoisonBilliards.com, and sponsors Cyclop Pool Balls facebook@CyclopPoolBalls, Ozone Billiards OzoneBilliards.com, APA of North Harris County facebook@APANorthHarrisCounty, OutsvilleBilliards.com, and newest sponsor Jimmy Jenkins with the Gibson Realty Group, facilitated another successful Poison Lone Star Billiards Tour event, procuring a generous $1,000 in added money, and a near $7,000 prize fund. 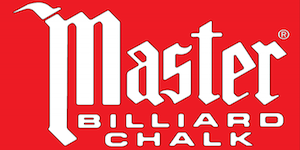 In the amateur 9-ball division, Watson took no prisoners on his way to the final four winners’ side, defeating Barbara Parker, Michael Pickering, 5-4, Bob Guzik, 5-4, and Mark Cardenas, 5-1, while Elias Garza took down Ruben Montelongo, Chase Wheeler, Hiro Nakahara, 5-4, and Floyd Smith, 5-3. Justin Pena defeated Robyn Haak, Brian Rosenbaum, 5-3, Bobby Perez, 5-2, and Ricky Hughes, 5-3, while T.J. Ortiz ousted Gerald Holland, Matt Cash, 5-4, Robbie Salinas, 5-1, and Steve Lenz, 5-1. Powering through the one loss side, Lenz eliminated Bosshamer, 5-2, Alan Myers fell to Hughes, 5-3, Cardenas took out Boelk, 5-4, while Smith overcame Wheeler, 5-1. Back on the east side, Watson bested Garza, 5-3, and Ortiz made quick work of Pena, 5-1. On the west side, Lenz fell to Hughes, 5-2, and Cardenas was ousted by Smith, 5-1. In turn, Garza sent Hughes packing, 5-2, and Pena ended Smith’s run, 5-1. The hot seat match witnessed a focused Watson overcome Ortiz, 5-3, while Garza plowed through the one loss side. Garza took out Pena, 5-4, and Ortiz, 5-2, for a rematch with the player who sent him to the west side. Watson’s momentum went unmatched, and Garza suffered a final loss at the hands of Watson, 5-2. Watson went undefeated to win his second straight division title on the Poison Lone Star Tour! The race to the final four on the winners’ side of the open 9-ball division witnessed Nick Hood defeat Adam Cooper 7-2, Yoko Joe, 7-5, and Marvin Diaz, 7-3, while Justin Whitehead defeated Clay Cates, Lance Johnson, Manny Chau, 7-6, and Bobby Perez, 7–1. Richie Richeson defeated Denis Strickland, 7-4, Bobby Dominguez, 7–1, Ernesto Bayaua, 7–1, and Jacob Watson, 7–5, while Andy Jethwa ousted Alan Myers, 7-3, Ricky Hughes, 7-1, and Brian Rosenbaum, 7-1. Following a first round loss to Tim Boelk, Chase Wheeler won five consecutive matches, eliminating Johnny Lawson, 7-1, Aldo Rosso, 7-6, Tom Rehm, 7-4, Matt Cash, 7-2, and Patrick Perez, 7-2. Rosenbaum ended Wheeler, 7-4, while Chau made his way through the one loss side with wins over Chase Rudder, 7-1, Steve Lenz, 7-1, and Jacob Watson. Elias Garza won four straight matches on the one loss side, but it wasn’t enough. Perez eliminated Garza, while Marvin Diaz took down Ricky Hughes, 7-4. As the final four on the one loss side took shape, back east, Whitehead overcame Hood, 7-2, and Jethwa sent Richeson west, 7-2. The hot seat witnessed Whitehead defeat Jethwa, 7-2, while Chau made his way through the one loss side. Chau was on fire, dusting off Rosenbaum, 7-3, and Hood, 7-1, while Diaz disabled Perez, 7-1, and Richeson, 7-5. At this point, Chau was unstoppable, taking out Diaz and Jethwa, by the same score, 7-2. After nine, straight match wins, Chau earned himself a rematch with Whitehead. The finals witnessed a merciless Chau dole out some harsh punishment, as he defeated Whitehead in both sets of the true, double elimination final, 7-2, 7-1. Chau made an incredible comeback to secure his first open division title of 2017! The tour would like to recognize its 2017 sponsors and venues: Poison by Predator Cues, Cyclop Pool Balls, Ozone Billiards, APA of North Harris County, Outsville Billiards, and newest sponsor, Jim Jenkins with Gibson Realty. This year, the tour welcomes back Texas venues Bogies Billiards and Sports Bar (Houston), Bogies West (Houston), Skinny Bob’s Billiards (Round Rock), and brand new venues, Fat Racks Sports Bar and Billiards (San Antonio), and CK Billiards (Dallas). This year the tour offer s cue repair by Roger Allen, James Hanshew, and Jerry Olivier, offered at each and every event. Without the nearly 300 players who attend Poison Lone Star Tour events, annually, production of this tour would not be possible. The tour would like to thank each and every player for their participation, whether it’s one event, or every event year round. 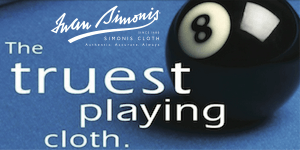 It is because of your patronage, that the Poison Lone Star Billiards Tour celebrates its 9th birthday this year, serving players across Texas and in surrounding states. The tour welcomes everyone back for the next event, to be held on March 18th-19th, 2017, at Bogies Billiards, located at 3040 FM 1960 East, in Houston, Texas. 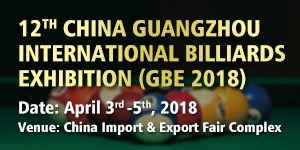 The full 2017 schedule is published at www.LoneStarBilliardsTour.com. The Poison Lone Star Billiards Tour encourages everyone who loves to play pool and compete in a friendly atmosphere, to attend an event. “Like” us on Facebook @LoneStarTour and “Follow” us on Twitter @LoneStarTour09. 5th-6th Ricky Hughes, Floyd Smith $90 ea. 7th-8th Steve Lenz, Mark Cardenas $50 ea. 9th-12th Sonny Bosshamer, Alan Myers, Tim Boelk, Chase Wheeler $25 ea. 5th-6th Richie Richeson, Nick Hood $90 ea. 7th-8th Brian Rosenbaum, Bobby Perez $60 ea. 9th-12th Elias Garza, Ricky Hughes, Chase Wheeler, Jacob Watson $35 ea.